St. Peter’s is the Church of England parish church for Westfield, providing for the spiritual needs of the area together with our sister church of St. James’, Preston Plucknett. We are a community of people trying to worship and follow Jesus, and to work out what that means in the 21st century in our local community. 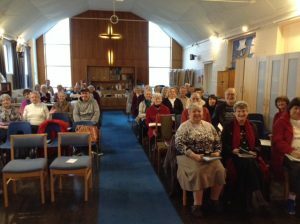 St. Peter’s people meet in our Church in Coronation Avenue (opposite the chip shop).